The RM3 is the latest addition to Blue Chip Technology’s highly successful computer-on-module (COM) range of products in a tiny package, just 50 by 50mm. The RM3 processor is the latest NXP i.MX6 Cortex A9 with dual and quad-core processor options. The graphics engines on these versions of the iMX6 are class leading and able to drive two independent displays. 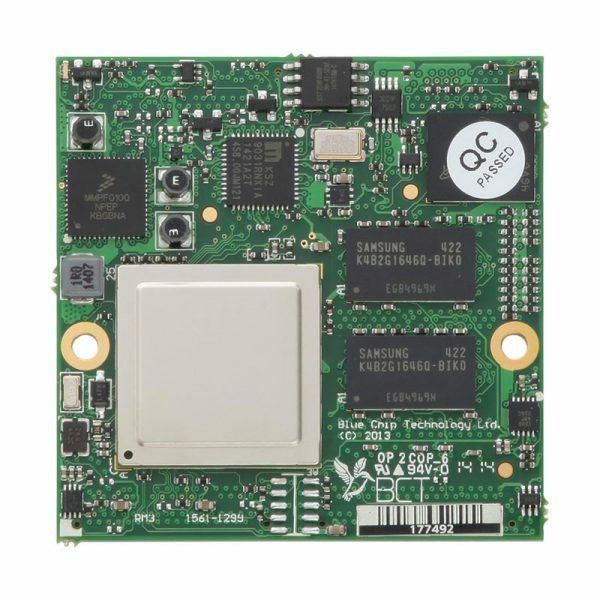 A COM is an off-the-shelf building block with all of the functionality of a high performance single board computer – CPU, chipset, RAM, Flash, Ethernet, CAN, etc but without the usual constraints. 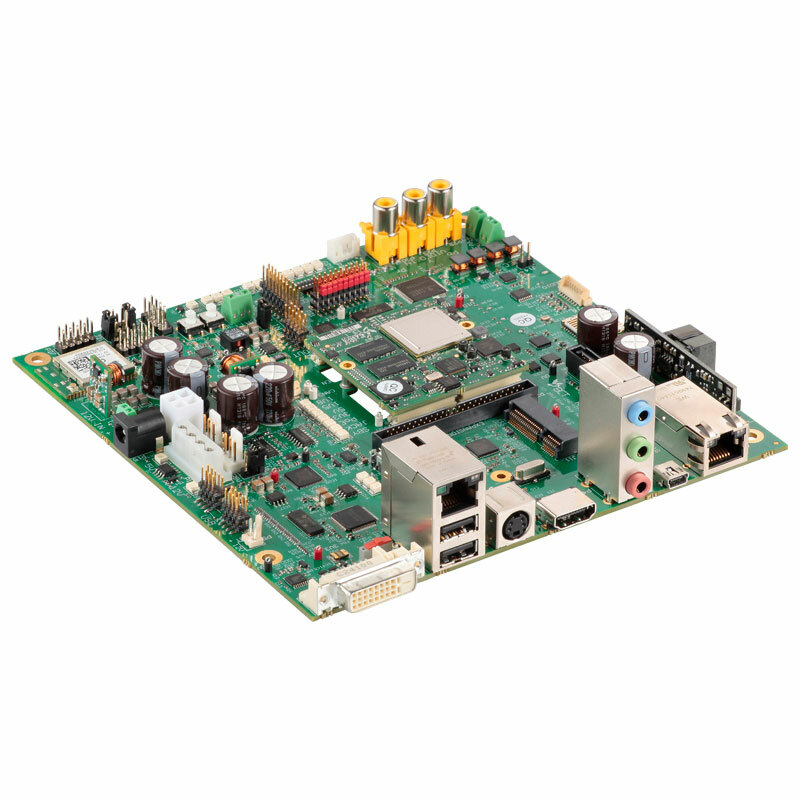 Instead you choose the board size/profile, the inputs /outputs and the connectors that suits your product best and then fit one of our COMs to provide the level of performance required. Basing your new product on our COM means the most expensive, complex and highest risk elements of the design are already proven whilst your host board design is a simple task which can be completed quickly and effectively. We can either support you when you design your own host board or if you wish design it for you. Can the peripheral interfaces be changed on the RM3? Yes please see the outline in the datasheet for an introduction. Most of the peripheral pins have several other options that can be selected through software. What development boards do you provide for development based on the RM3? 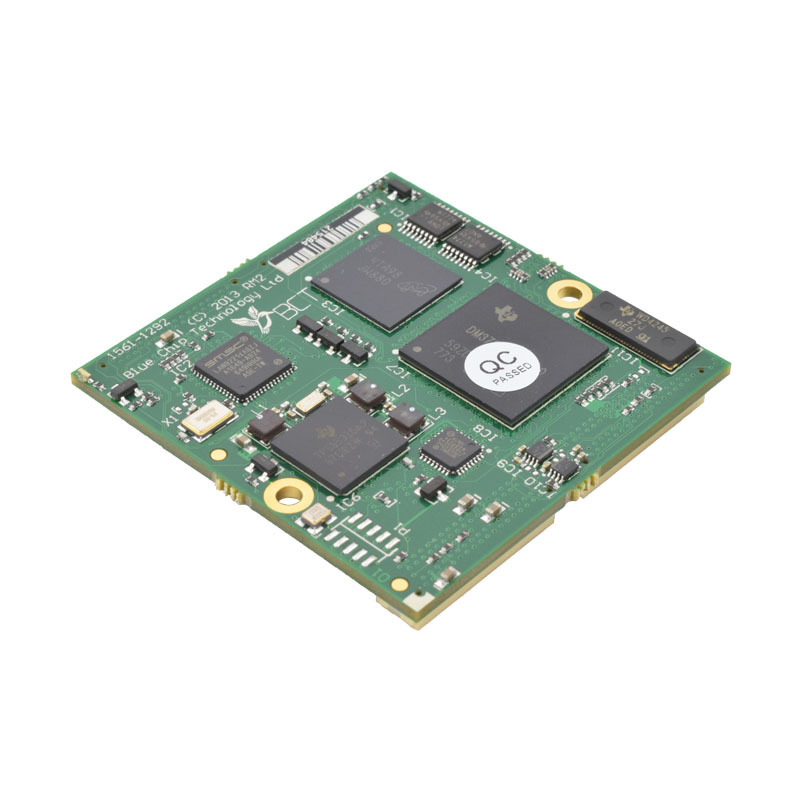 Please see our HB3 which is the development board designed especially for the RM series of processor modules. What is the manufacturing life of the RM3? 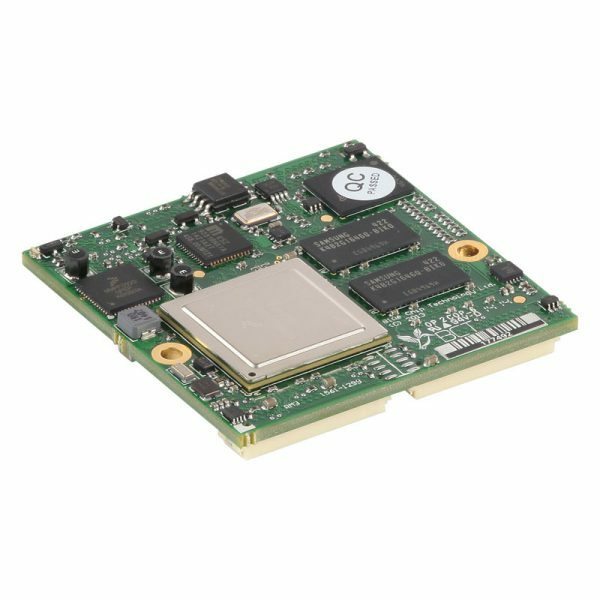 The RM3 is based on the NXP iMX6 which is available until at least 2025 and probably a lot longer. 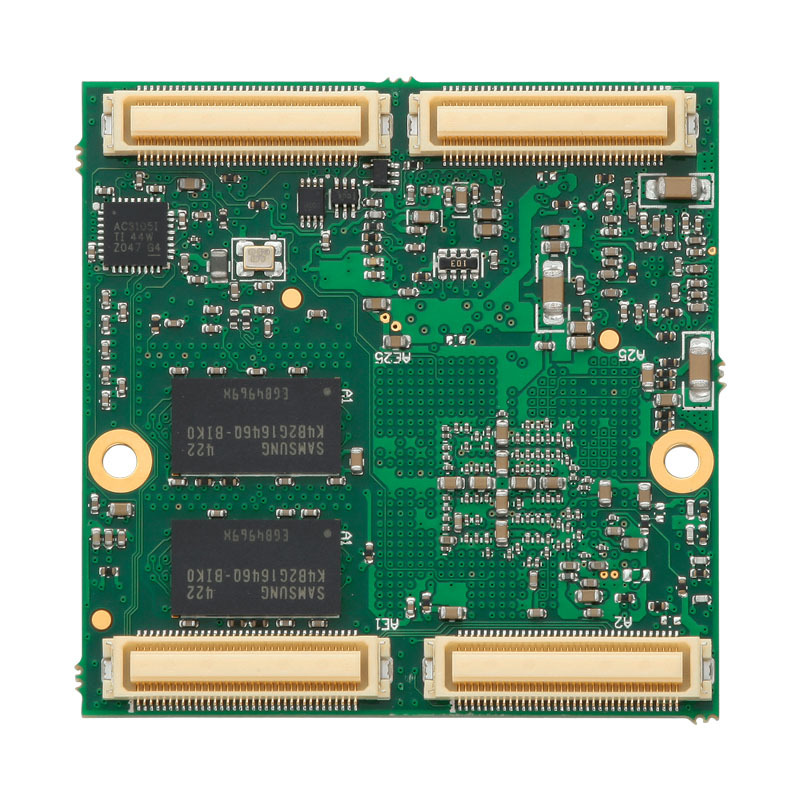 How can we design our own host board for our new product based on the RM3? One of our key goals when designing the RM3 was to make it as easy as possible incorporate it into a product. We can provide the schematics for our HB3, subject to signing a mutual none disclosure agreement, to help you complete your design as quickly as possible. We use Altium for our ECAD system and can supply either Altium or pdf schematics. Yes. We can. We will also be happy to quote you for the manufacture and test of your complete product including warranty and technical support. What operating systems do you support on the RM3? We currently support Android and Linux Ubuntu LTS.